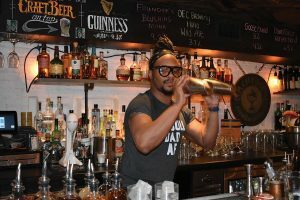 Nine local bartenders put their infusion skills to the test for a cocktail taste-off at Elm City Social in New Haven on February 25. 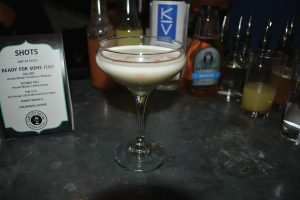 Using KEEL Vodka, bartenders created low-ABV cocktails and infusions which were featured in their creations. 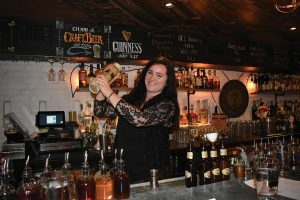 The first-place winner was Corinne Ferrante of The Blind Pig, second place went to Ruvin Bogati and the third-place winner was MeKayla Roy of Zohara Mediterranean Kitchen. 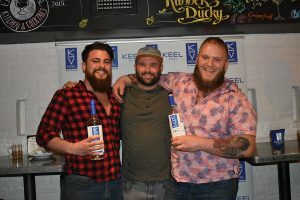 Max Fiore of Olives and Oil, Dan Rek of Elm City Social and Kyle Zimmerman of Ordinary served as judges. 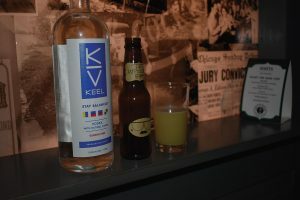 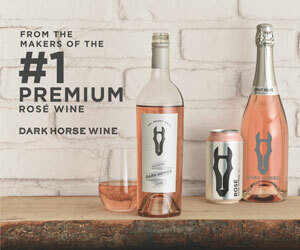 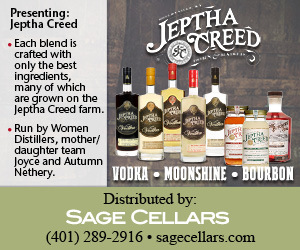 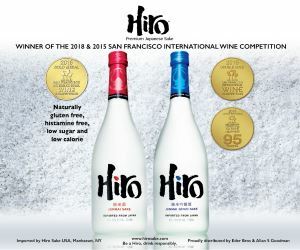 KEEL Vodka is distributed in Connecticut by Brescome Barton. 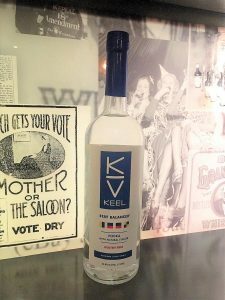 KEEL Vodka is a premium light vodka created by Rhode Island entrepreneurs Bill Dessel and Tom McGowan and former New England Patriot Matt Light. Ray Collins, Sales Representative, Brescome Barton; Sean Oakley, Trade Development Manager, Brescome Barton; Veronica Saurett, Wine Account Development Manager, Brescome Barton; Max Moss, Marketing Manager, KEEL Vodka; and Matt McCarthy, NE Regional Manager, KEEL Vodka. 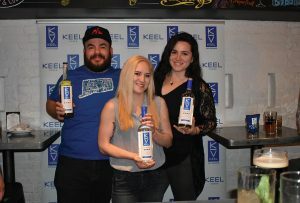 Second-place winner Ruvin Bogati of DORO Restaurant Group; first-place winner Corinne Ferrante of The Blind Pig; and third-place winner MeKayla Roy of Zohara Mediterranean Kitchen. 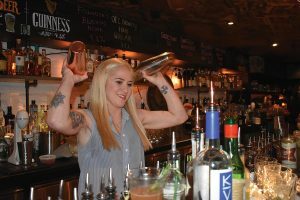 First-place winner Corinne Ferrante of The Blind Pig. 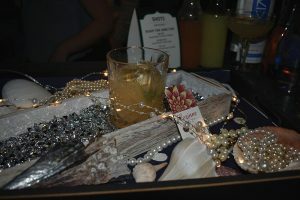 Ferrante’s winning cocktail, Heiress Teresa. 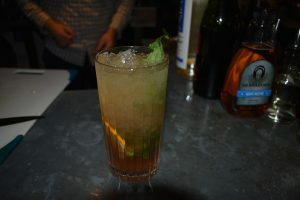 Roy’s winning cocktail, The Imposter IPA. 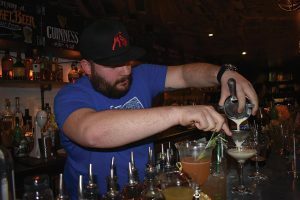 Competition Judges Max Fiore, Olives and Oil; Kyle Zimmerman, Ordinary; and Dan Rek, Elm City Social. 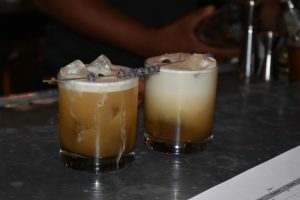 Competitor Deon Ross, Olives and Oil. 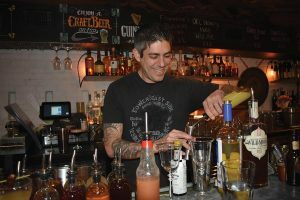 Competitor Justin Michael Morales, Marlborough Tavern. 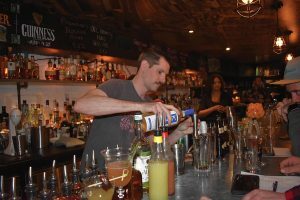 Competitor Jerome Daigneault, Marlborough Tavern.